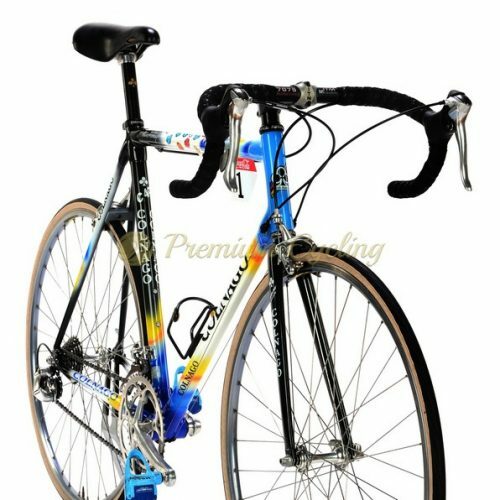 The Colnago C40 won 5 out of 6 editions of Paris-Roubaix in years (1995-2000) and several world champion titles in years 1996-2002 . 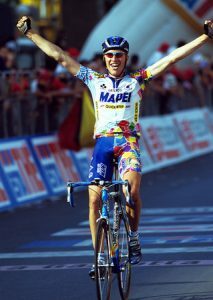 Here we are proudly presenting the legened of cobblestones – COLNAGO C40 Bstay Mapei, which dates back to 2001. 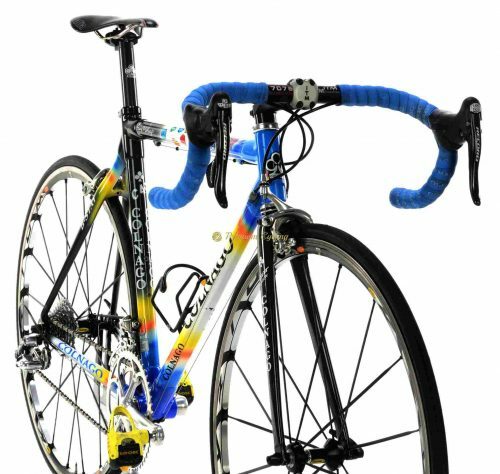 Full carbon frameset is shinning in outstanding Mapei paintjob and equipped with superb CAMPAGNOLO Record 10s groupset, Mavic Ksyrium SSC SL wheels, ITM Millenium cockpit. One of the last real bikes. No much words needed. Condition: Used, but good condition. No cracks, no dents, not bent. Original paint and decals. Some signs of normal use. All parts are working fine.